Hey! Are you from Davao City and love to RUN? Great! 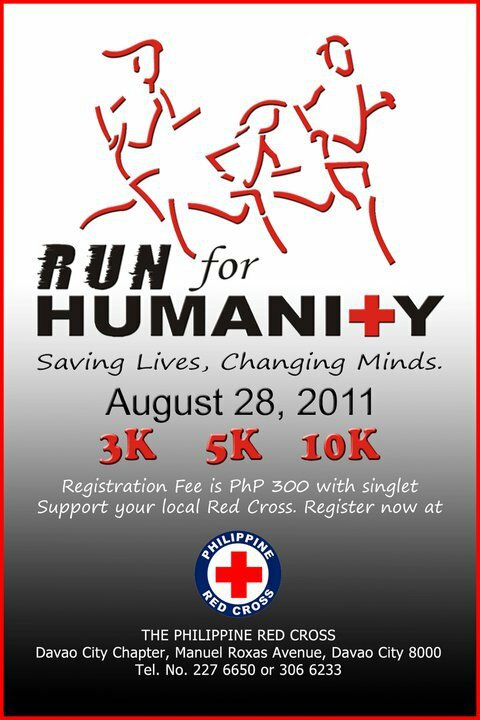 I would like to invite you to participate in this one-day fun run for a cause, Run for Humanity: Saving Lives, Changing Minds on August 28, 2011. Registration will be at The Philippine Red Cross Davao City Chapter office located at Manuel Roxas Avenue, Davao City.